I spent nearly four full days in Rockland with a group of writers from the IFWTWA: the International Food Wine & Travel Writers Association. I think I easily could have stayed four months. 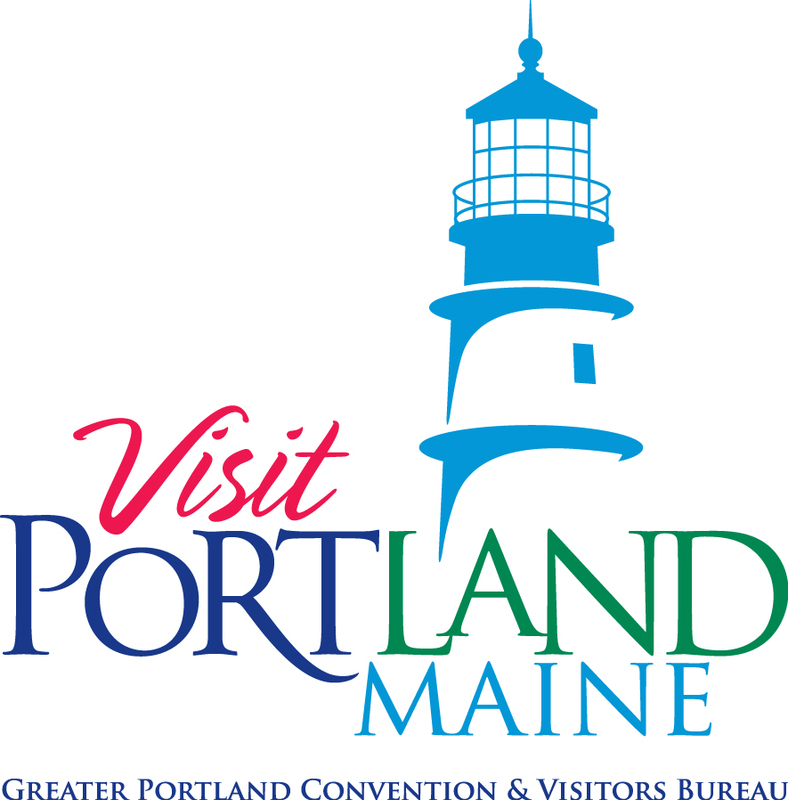 This town of 8,000 residents has so much to offer. 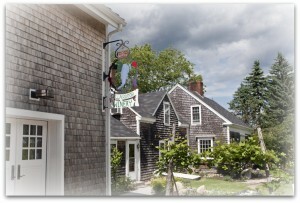 Its rugged, natural beauty, its bounty of delicious cuisine and its warmhearted residents. On day three, after another exquisite breakfast prepared by Frank at the Limerock Inn, we climbed the All Aboard Trolley and headed for the Owls Head Transportation Museum. 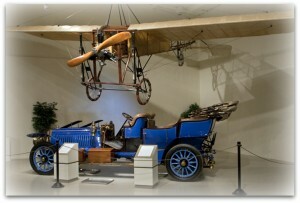 The museum has more than 100 vintage planes and automobiles on permanent display. The most amazing part is that virtually all the planes fly and all the cars drive. 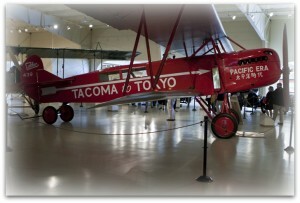 The museum is staffed by a group of volunteers who dedicate themselves to restoring these classics to their former glory. 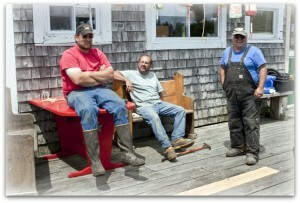 At the end of the tour, we took a drive in a Model T.
From Owls Head we went to Ship to Shore, where lobstermen can drop off their catch and pick up bait. 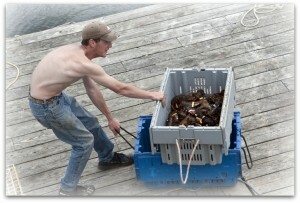 They also offer classes on how to cook and eat lobster and will ship live lobster to you. 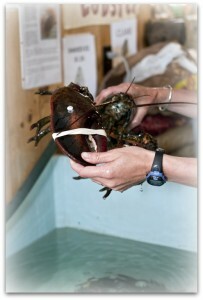 While we were there there was a five pound lobster in their tank. 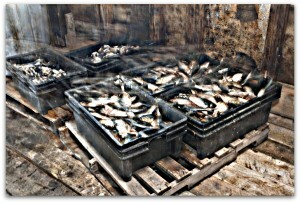 A fisherman pulled up to the pier with his catch. It was lunchtime and staring at a five pound lobster had more than whetted my appetite. 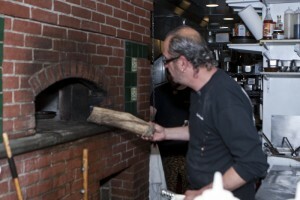 I had met Kerry Altiero the night before at our gathering at Rusticana. 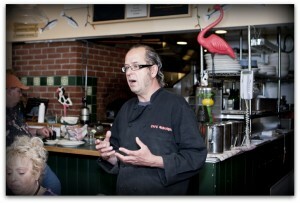 Kerry is chef/owner of Café Miranda and that was our luncheon destination. Café Miranda is named after a dog Kerry owned. 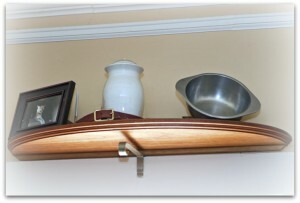 Her ashes, food bowl, collar and picture grace a shelf on one of the walls. 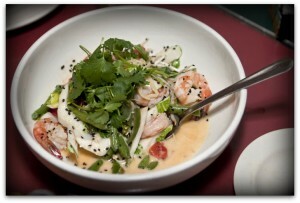 Kerry’s approach to food is whimsical and artistic. Just take a peek at his menu. I love their motto: “We do not serve the food of cowards.” Plate after plate after plate of delicious food appeared at our table until we couldn’t eat one more bite. Lucky for me, I was headed back there for dinner the following evening. 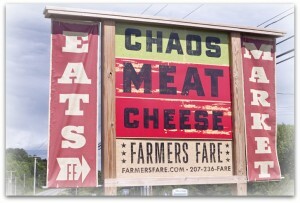 I wish there were a Farmers Fare in my neck of the woods. 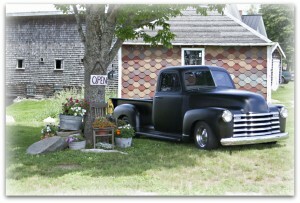 We drove to Rockport to see this incredible market and meet its creators/owners. Farmers Fare isn’t easy to describe. 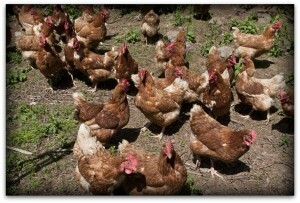 They offer not only farm fresh produce, but locally farmed meat and dairy products, too. 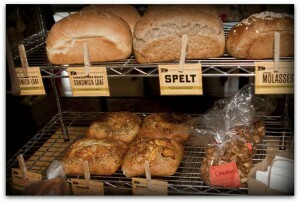 They also have an in store bakery and restaurant. Teri Thompson-Christie and Peter Christie opened this jewel last year with the motto of “Gathering people together to make joy.” They didn’t like what was happening in our fast paced world and decided they would offer an alternative, a place where people could slow down, savor, meet their neighbors and enjoy some delicious, healthy food choices. It’s unlike any other place I’ve visited and I’ve got a hunch their concept is going to catch on. 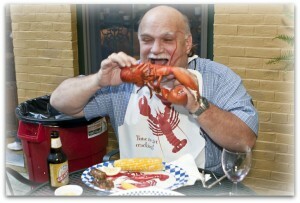 I finally got a chance to show Mainers how to properly consume a lobster. Truth be told, they showed me, and it’s not what you see depicted in that shot. Ken and Ellen Barnes hosted a Lobster Bake for us at the Captain Lindsey House Inn and invited some locals to bring some side dishes and share their stories. 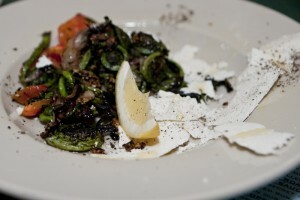 Fiddleheads are a Maine delicacy, the coiled leaves of an Ostrich Fern. 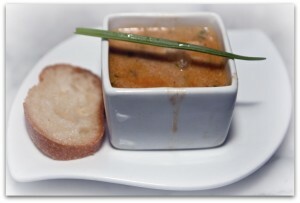 They’re served steamed or boiled and are delicate and quite tasty. 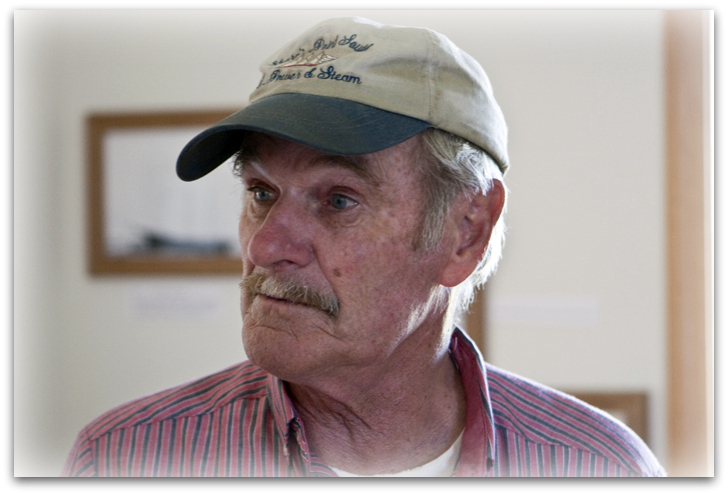 Captain Dan Cosby from Crate to Plate told us you can lease one of his lobster traps for a season and have live Maine lobster shipped to you from your trap. 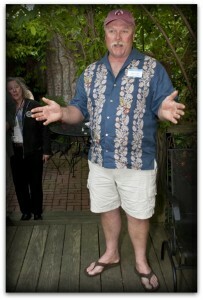 Pat O’Brien from Fiore Artisan Olive Oils and Vinegars was sampling his wares. 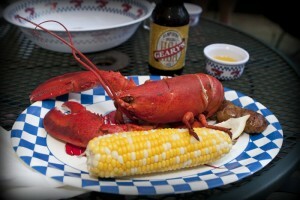 Soon enough, Ken pulled the lobsters out of the water and served them with grilled sausage and corn on the cob. Believe me, it doesn’t get much better. We all returned to our appointed inns for the night to prepare for our last day in Rockland. 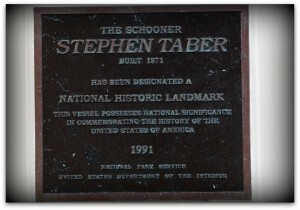 For a lucky few, we were getting ready to set sail on the Schooner Stephen Taber. 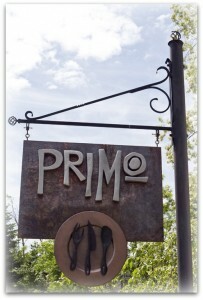 Our first stop of the morning was at Primo, Melissa Kelly’s renowned restaurant. 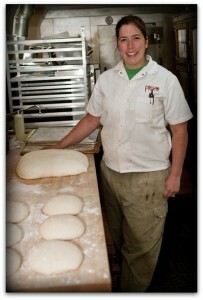 Melissa is a protegé of Chez Panisse‘s Alice Waters, and has made her own mark on the culinary scene. 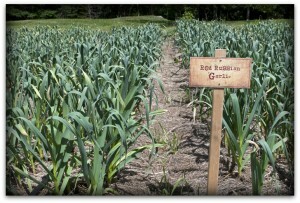 We weren’t there to eat, however, we we there to visit their amazing gardens. Melissa did give us a tour of the restaurant and all I can say is I can’t wait to dine there. The place is loaded with charm and it’s clear she is very hands on. 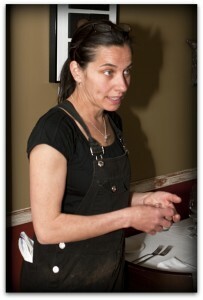 Melissa is passionate about what she does and most of the items on her menu come from her gardens or her farm. She only buys meat from suppliers who raise and butcher their animals humanely. 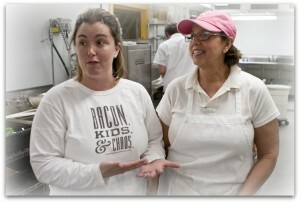 After our tour, Melissa turned us over to head grower Emily Rawn. The gardens are lush and lavish. 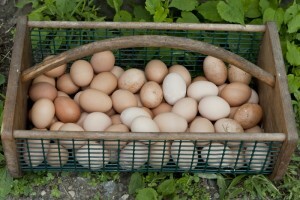 They have an apiary, and the eggs come from their own chickens. They raise pigs as well. Our day had just begun. At this point, you may be thinking, what’s all this got to do with wine? 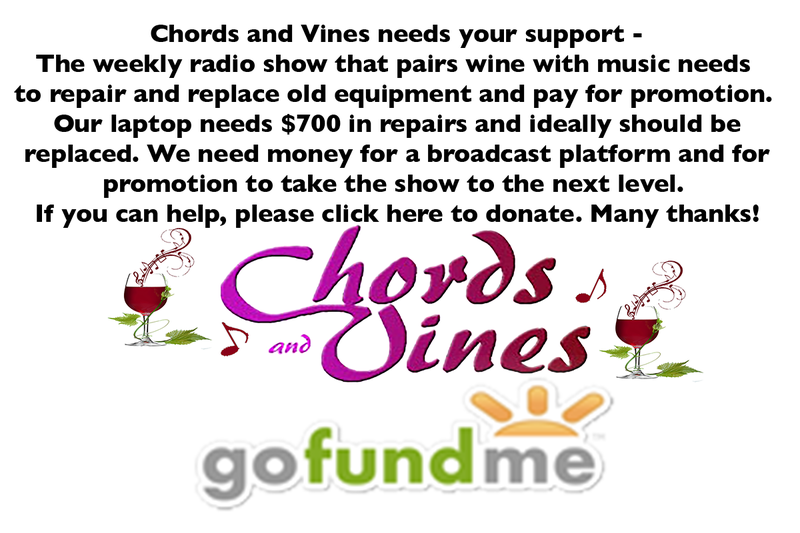 Isn’t this site called WINEormous? 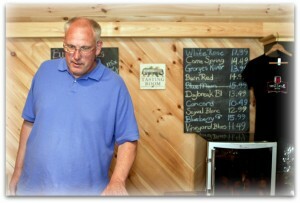 It is, and our next three stops were at Maine wineries, starting with Savage Oakes. 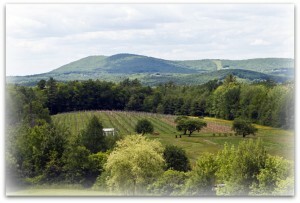 I didn’t know grapes grew in Maine, let alone that people were making wine from them. 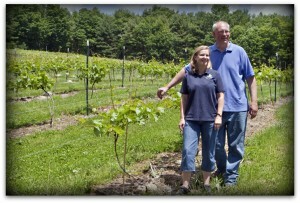 Elmer and Holly Savage planted two acres of grapes on their blueberry farm. They now have four acres planted with nine varieties. 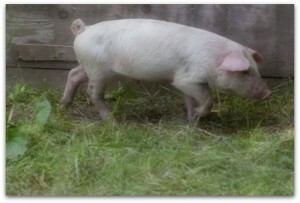 We walked around the property, past the pigs to the vineyards. 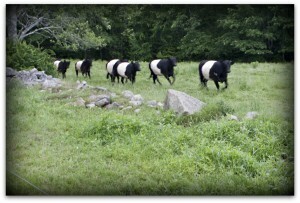 They told us they had some Belted Galloway cattle we ought to see, but they were nowhere in sight. Elmer and Holly started clapping their hands and the cows came running. 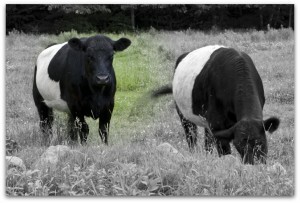 It’s easy to understand why they’re also known as “Oreo Cows”. 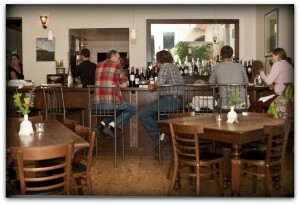 We stopped in the tasting room and sampled their wines. Seyval Blanc is a dry white wine, Barn Red is made from the Leon Millot grape, and they use Cayuga and Maréchal Foch as well, all grapes that can tolerate the extreme Maine climate. 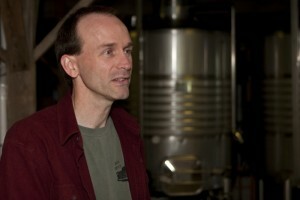 They also produce blueberry and apple wines. I don’t think Maine wines will be competing with Napa anytime soon, but the wines were quite tasty and the fruit wines a refreshing change of pace. 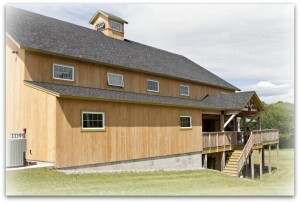 Sweetgrass Farm Winery & Distillery was our next destination. 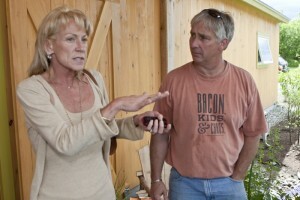 Keith and Constance Bodine purchased their property in 2005. 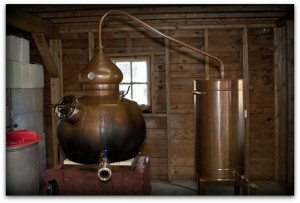 Not only does Keith produce Blueberry, Apple and Peach wines, he distills Gin, Apple Brandy and Rum, too. The Cranberry Gin was a real treat and the Cranberry and Peach Smash were both delicious. For lunch we stopped at Cellardoor Winery. 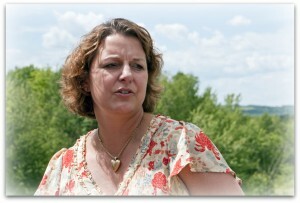 Bettina Doulton’s bout with breast cancer was a real wake up call for her. After 21 years at Fidelity Investments, she visited the winery in December, 2006 and made an offer on it right then and there. The tasting room is breathtaking and the views off the deck are awe inspiring. 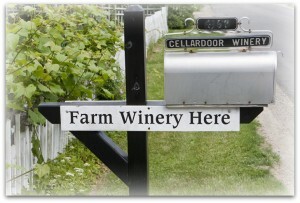 We drank Cellardoor wine and ate sandwiches and salad while Bettina shared her story with us. The wine selection is impressive, with familiar names like Zinfandel, Grenache, Riesling and Viognier alongside Niagara, Cayuga and Chancellors. 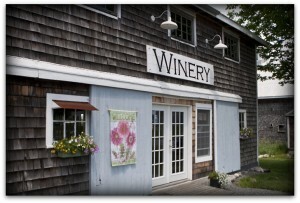 They also produce a wild Blueberry wine with maple syrup called Treasure – wow! 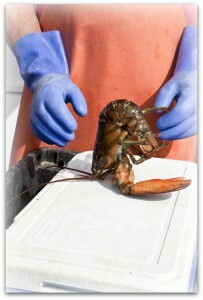 Have you ever seen anyone hypnotize a lobster? 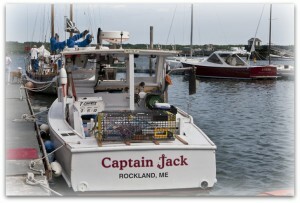 I hadn’t until we returned to Rockland and joined Captain Steve Hale, who owns Captain Jack’s Lobster Tour Adventures. Jack is Steve’s grandson. 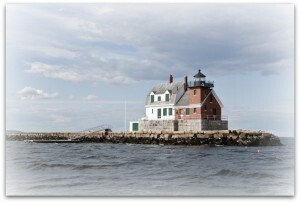 We left Middle Pier and set out for lobster. 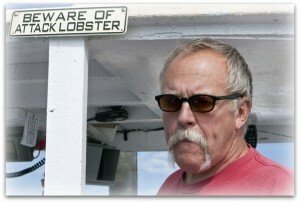 Steve is easy going and gave us a taste of what being a lobsterman entails. 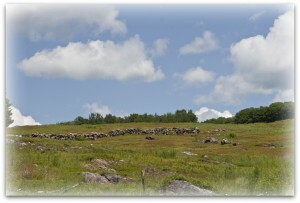 If you go out on Penobscot Bay, you’ll see literally thousands of lobster traps. 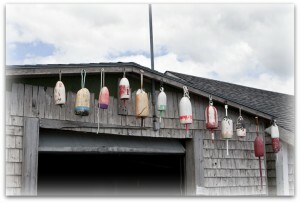 A fisherman can tell which ones are his by the colors painted on them. We pulled up about five traps and wound up with more picky-toe crabs than lobster, but it was a beautiful day and a fun adventure. 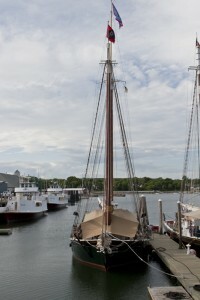 The following day five of us were setting out from Rockland on a three day wine cruise aboard the historic Schooner Stephen Taber. 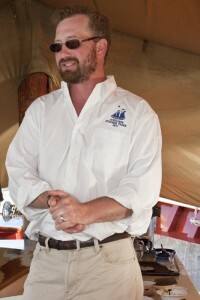 We went aboard to meet Captain Noah Barnes and his crew and learn the basics of life at sea over the next three days. The Stephen Taber is gorgeous. 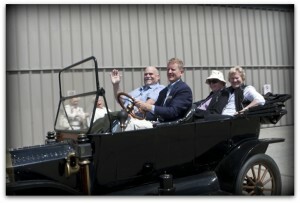 Noah is Ken and Ellen Barnes’ son, and he and his wife Jane took over the Taber from them. She’s been in the family for more than 25 years. I joined two other writers for the first of two “tastes” for dinner. I was delighted to hear we were returning to the Café Miranda. 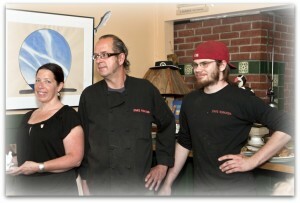 Linda, Allan and I sat at the counter so we could visit with Chef Kerry and watch him cook. 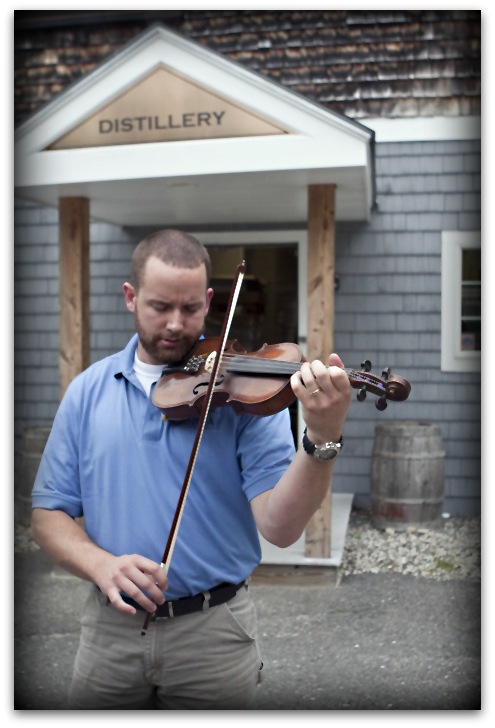 He loves what he does and doesn’t believe in being bound by tradition. 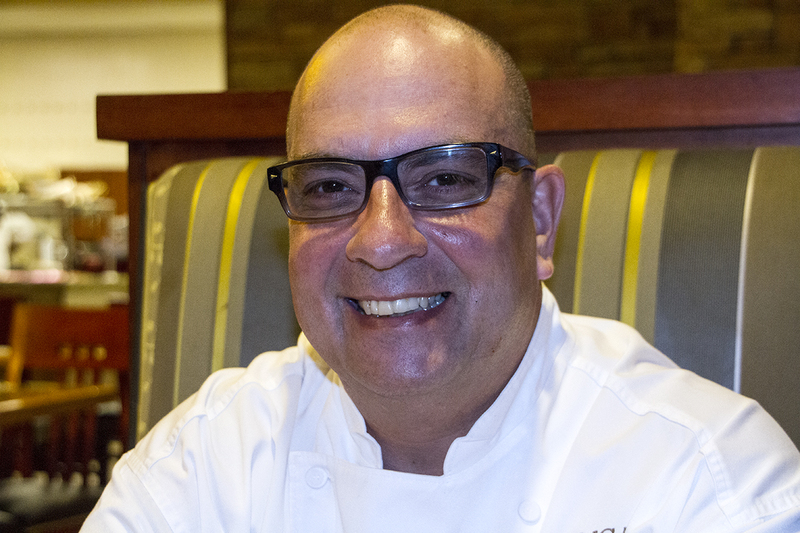 His menu is extensive and covers everything from Asian to Italian and more. 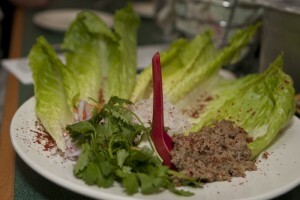 He started us off with the f.b.o.m., fabulous bowl of meat, with Thai spiced ground turkey, vegetables and cellophane noodles in a lettuce wrap. We ate fiddleheads and mussels and when we mentioned we heard his macaroni and cheese was outstanding he prepared us some of that, topped with roasted kale. Kerry is a wizard and it was a treat watching him at work. How we were going to be able to consume any more food was a mystery to all of us, but we walked about five blocks to In Good Company to begin round two. 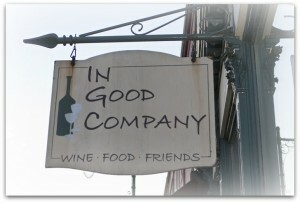 In Good Company is a cozy little restaurant and wine bar featuring culinary delights prepared by Melody Wolfertz. 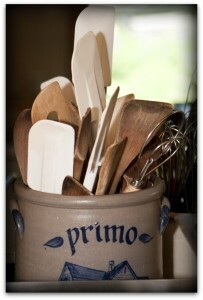 She was busy in the kitchen as we were wined and dined. 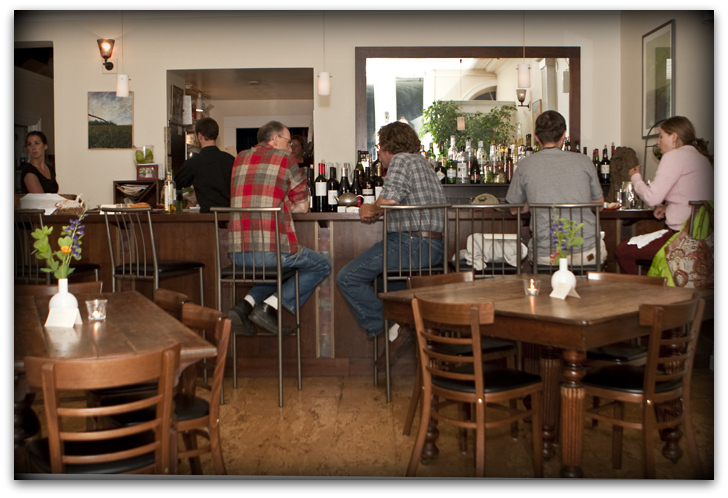 Her wine list is extensive, featuring more than 300 wines. The food was out of this world. 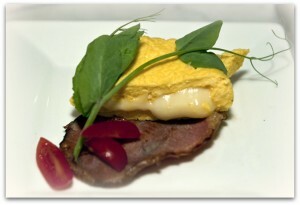 We enjoyed four courses with a different wine paired with each course. We were able to visit with Melody briefly after dinner, and she was gracious and proud to show us around. She pays close attention to detail. Again, we were all astounded by the number of quality eating establishments in such a small town. 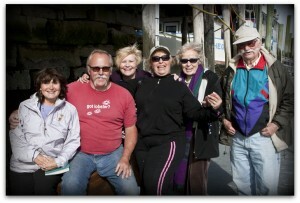 We were setting sail on the Stephen Taber the next morning and our incredible visit to Rockland was drawing to a close.